Meeting at Spier? It’s easy to make your conference an unforgettable occasion by adding one of their many extras to your Day Conference Package. 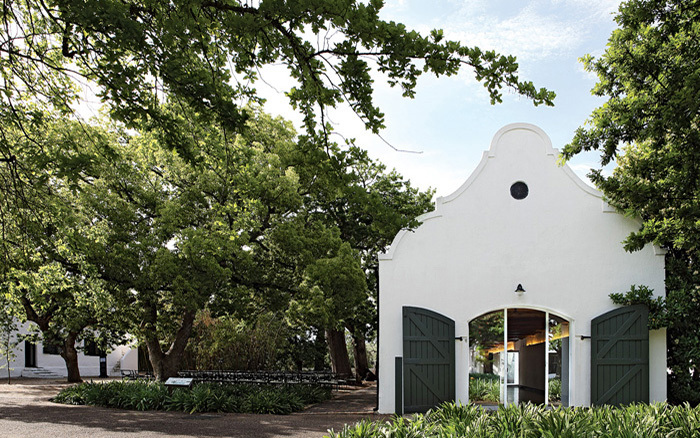 Spier has a variety of venues available to host a private dinner with a difference – including the historic Wine Cellar, the Auditorium, the oak-covered Werf Lawn which can be booked for groups of all sizes. Groups can also choose between the Spier Hotel Restaurant that offers anything from burgers and game to fine dining and traditional regional specialities, Eight Restaurant that offers a farm-to-table eating experience in a space that expresses balance, cycles, harmony, infinity and abundance, or Vadas Smokehouse & Bakery which offers “low and slow” roasted BBQ meats. From as little as R20 per person, you can add a delightful twist to your day conference by adding items such as popcorn, ice cream in summer, hot chocolate in winter, wine slushies, chocolate and coffee pairing tastings, candy stations and ice crushers to your coffee break. Get your delegates to pedal their way to their own smoothies… on a bike! Blendavenda Smoothie Bikes are a great way to encourage a healthy lifestyle through being active and eating well. Along with energetic and passionate staff, this always proves to be a big hit at any conference! From as little as R2020, delegates can load the blender with delicious fresh fruit, get on the bike and cycle for 500m and watch the blender whizz into life. Not only will the person cycling their smoothie love this, but the crowd is sure to gather cheering on. For conference breaktimes, Spier has plenty of outdoor options where delegates to relax and mingle – from lawns to cosy courtyards. They can also arrange bean bags, Bedouin tents, and more. “Silent disco” equipment allows you to have several breakaway groups within the same space. The plenary venue can be used in its normal state with several speakers and audiovisual presentations on various screens as the audio comes through multi-channel headphones that are colour coded with channel signs and LED lights. Delegates can choose which channel to listen to and can switch between audio choices by pressing the button on the side of their headphones. Not only is this a great cost-saver, but research also shows that delegates are more inclined to pay attention when they have the audio straight into their headphones. Depending on the group size, headphones range between R50 – R70 each, excluding once-off technician and travel costs. The mosaic artisans at the satellite Stellenbosch space of the Spier Artisan Studio can be commissioned to create your company logo in mosaic from R8000. Send us your logo and dimensions at least 60 days before your event; the artisans can finish off the art piece in the conference foyer while delegates watch the progress – they even will get a chance to paste tesserae in the mosaic themselves. Pieces can be finished off afterwards, backed, framed and shipped to display in your offices or given away as a gift or award. Exchange your conference lunch for a picnic lunch around the dam or on the Werf’s dappled lawns. For an additional R65 per person, Spier can assist with a setup that includes blankets, pillows, ice buckets, glasses and signage. Worried your delegates might wake up a little worse for wear? Spier offers energy drinks, soft drinks, or Bloody Mary cocktails from R35 per person – either at the conference venue upon arrival or during breakfast at the hotel. From R205 per person, they offer a wide range of fun indoor and outdoor team building activities including The Amazing Race, art expression, drumming, laughing yoga and potjiekos cook-offs – for groups of all sizes. Spier has selected three schools in the surrounding community which guests can donate much-needed items (including school stationery and educational toys) should they have space available in their luggage. Let them know, and they will ensure donation boxes are available during your conference. Local artisans from the Craft Market can make beaded lanyards for your conference badges, beaded delegate wristbands or delegate bags from recycles material. We can help you source unique mementoes or special delegate gifts as room drops from our Hotel Shop, Tasting Room, Farm Kitchen or Craft Market. These include award-winning wine, natural and organic bath and body products, locally made homeware and artworks, wine equipment, seasonal jams and preserves, condiments, teas, spreads, chocolates and honey. The first room drop is complimentary – thereafter, R10 per room drop will be charged. At night, all inhouse guests receive a nougat and mineral water during our standard turndown service. Special turndowns can be arranged at an additional cost. Instead of room drops, why not give delegates vouchers to purchase an item of their choice? Vouchers can be arranged for use at the Hotel Shop, Tasting Room, Farm Kitchen or Craft Market. From R40 per person, delegates can sample Spier’s acclaimed wine at the airy, art-filled tasting room on the banks of the Spier dam or in the conference foyer or another private venue during a conference. Tastings typically take 30-45 minutes. Cheese, olive and charcuterie platters can also be arranged. Grape juice can be made available as a non-alcoholic option. Let your delegates try their hand at winemaking! Perfect for smaller groups of up to 20 and from as little as R195 per person, a red or white wine blending experience in the historic Cow Shed can be arranged. Delegates can visit the vibrant, colourful craft market and choose from a range of authentic pieces of hand-made art – ranging vastly in terms of size and medium. You can expect everything from paintings and head-high wooden carvings to jewellery, leather-work, textiles, ceramics. While browsing, watch the artists, designers and makers working on beautiful wire and beadwork trophy heads, an intricate painting, or weaving recycled aluminium into a sculpture. Fancy getting involved? Spier offers customised experiences such as Make it Yourself (where their crafters teach you the basics and you get to take home your own work) as well as colourful Pop-up Shops in the conference foyer. This project teaches people from some of the Cape’s poorest communities to nurture indigenous seedlings; once they’ve reached a certain size, they can be exchanged for vouchers for food, clothing, agricultural goods, tools, bicycles and educational support. Support the project by purchasing indigenous, low maintenance and water-wise succulents or miniature trees planted in repurposed containers such as eco cups and used tins as delegate gifts, or offset your carbon footprint by purchasing trees from us and donating them to a school or old age home of your choice. Donations cost from R400 and up (depending on quantities and group size). Eagle Encounter is rehabilitating and releasing birds of prey. From only R80 per person, delegates can meet the monarchs of the bird world through up-close-and-personal interactions with eagles, hawks, falcons, owls, kites, buzzards, snakes and lizards – including heart-stopping falconry displays where we fly birds to your delegates, or arrange an interactive show inside your conference venue. The Harris’s Hawk can also be booked for Award Ceremonies to fly in with a scroll or small medal during award announcements. Prices for Award Ceremonies are available upon request and depends on group requirements and size. Help your delegates feel revived and refreshed by treating them to a quick massage. From as little as R500 per hour per therapist, the Spier Spa offers a range of express treatments in the conference foyer during coffee breaks and lunches. Yoga calms, centres, grounds and helps meeting attendees stay engaged. You can offer your delegates the choice of attending a quick yoga session on the beautiful lush lawns. This can be offered before, during or after a conference. Towels, water and mats can be arranged upon booking. Spier’s two-wheeled, self-balancing, battery-powered Segway Personal Transporters are the coolest way to do a breezy lap around the farm. From R375 per person, choose between a one-hour, two-hour or sunset tour for groups of up to 17 people per tour. Qhubeka Buffalo Bicycles are located at the Spier Hotel entrance for guests to ride and discover the farm at no additional charge. These are sturdy and strong machines, designed for rough African terrain. Designed by the Chicago-based World Bicycle Relief and assembled in South Africa, they were named by the BBC as one of the 10 most beautiful bikes in the world. Get in touch with the conferencing team at conference@spier.co.za to find out more. Published prices are subject to change without prior notice. 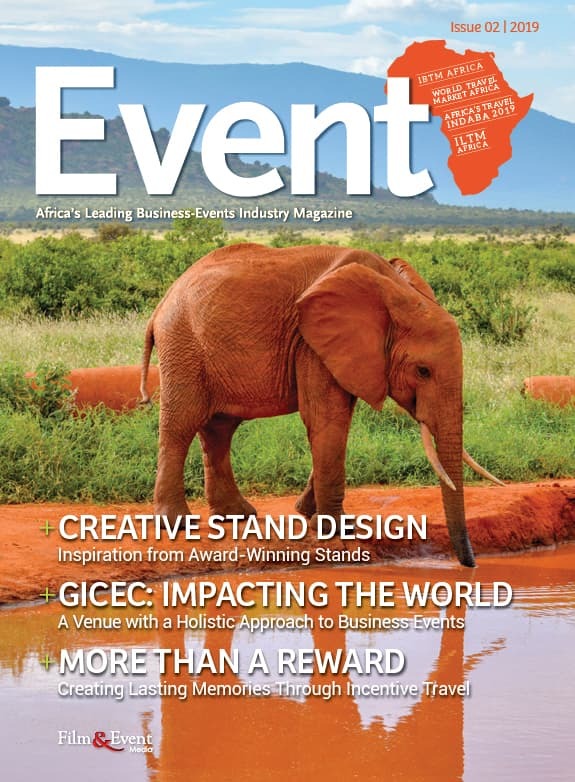 Spier’s conference extras do need to be pre-booked well in advance and are subject to availability. Minimum rates apply for some activities. Find out more, here.